Growing up my mom used to put smoked sausage, potatoes, carrots, onions and butter in a 9x13 pan and bake it. It was one of my favorite meals growing up. Sometimes she would put hamburger patties on the bottom in place of the smoked sausage links. I know of some people who make foil pouches and place these same ingredients in the pouch and toss them on the grill. 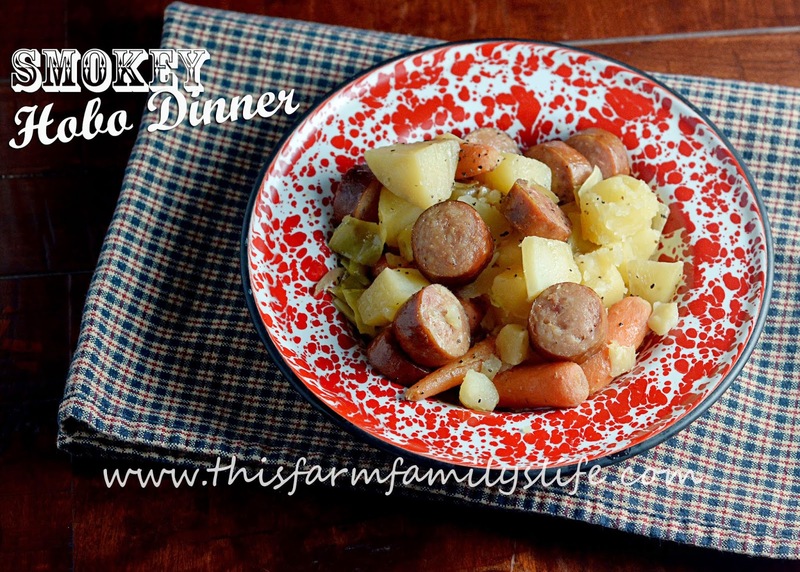 When I saw the recipe for this Smokey Hobo Dinner in Gooseberry Patch's 101 Super-Easy Slow-Cooker Recipes Cookbook, I immediately put the ingredients on my grocery list! This recipe is simple to make and tastes just like I remember! Stay tuned next week for a Gooseberry Patch giveaway!!! 1) Spray a slow cooker with non-stick vegetable spray. Layer vegetables in slow cooker in order listed, sprinkling each layer with salt and pepper. 2) Place sausage on top of vegetables in slow cooker; pour water over all. 3) Cover and cook on low setting for 6 to 8 hours. Serves 6.